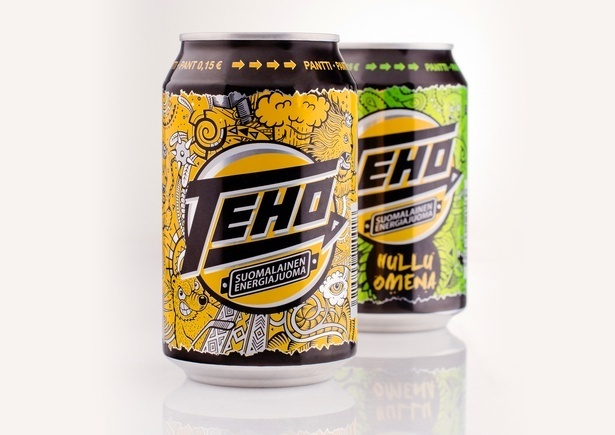 Teho is a crazy Finnish energy drink that makes you feel alive. Well, it even makes its illustrations on the package look alive. 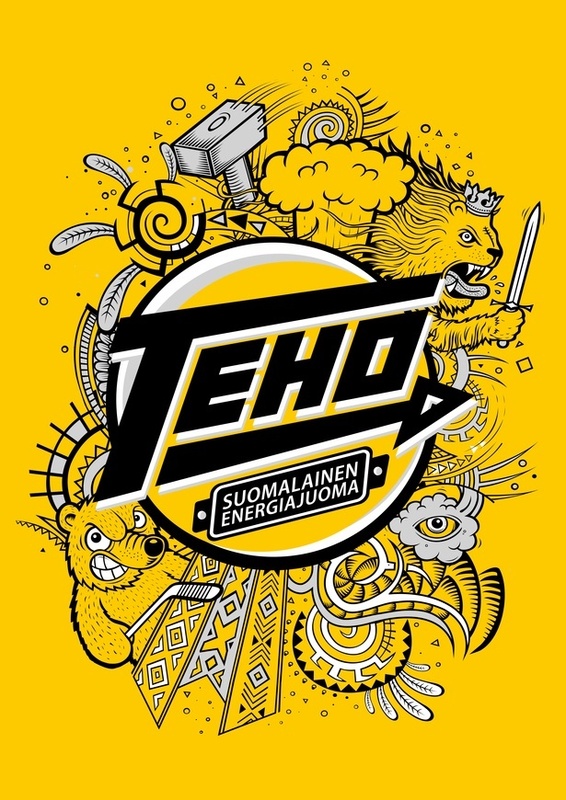 The characters seen there - the bears, the lions with crowns etc – all play a part Finnish culture, but the hand-made illustrations give them a modern, unexpected and energetic nature.